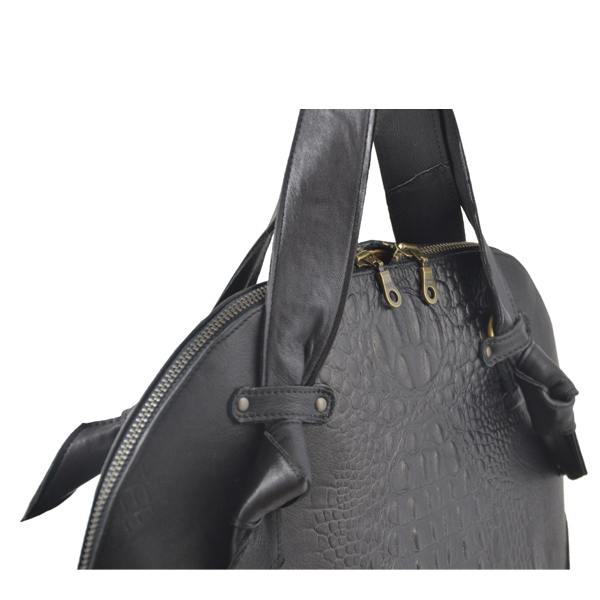 The Monaco is as much a practical bag as it is a peace of art, with a zipper on top, which gives a broad view inside the bag. 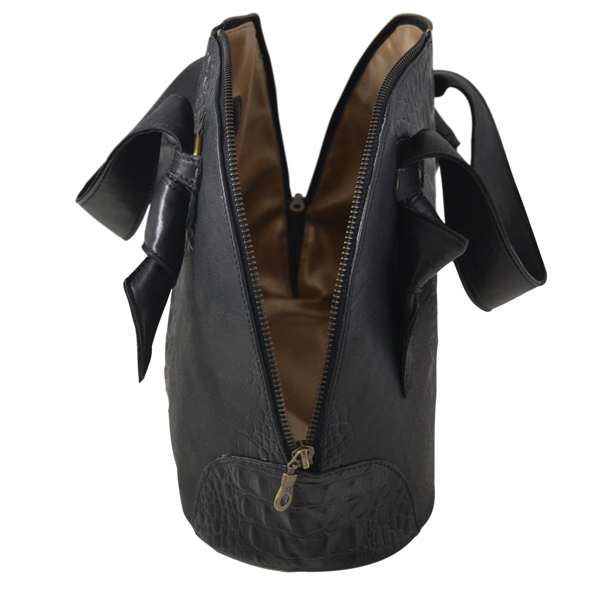 When placed it will stand on it’s own, by opening the zipper you will have great overview. 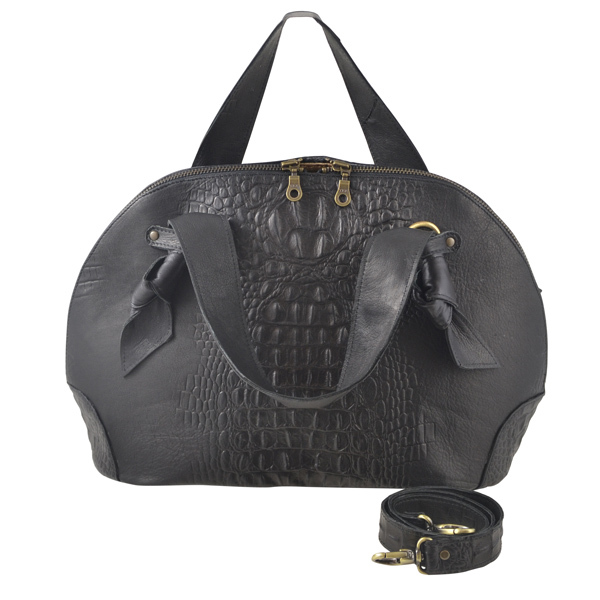 The bag is meant to be worn on the lower arm, but – since that is not always that practical – we deliver a loose strap to attach and wear it over the shoulder. 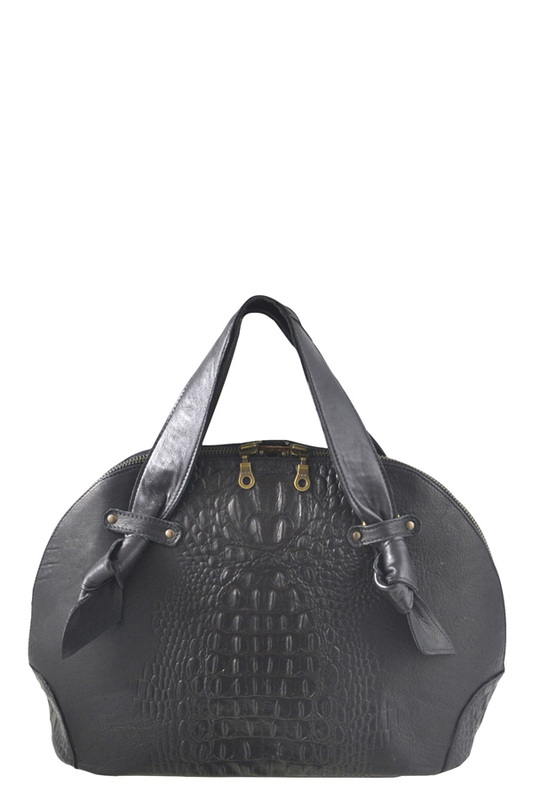 This bag is made out of a black cow leather with a beautiful croco print in it. 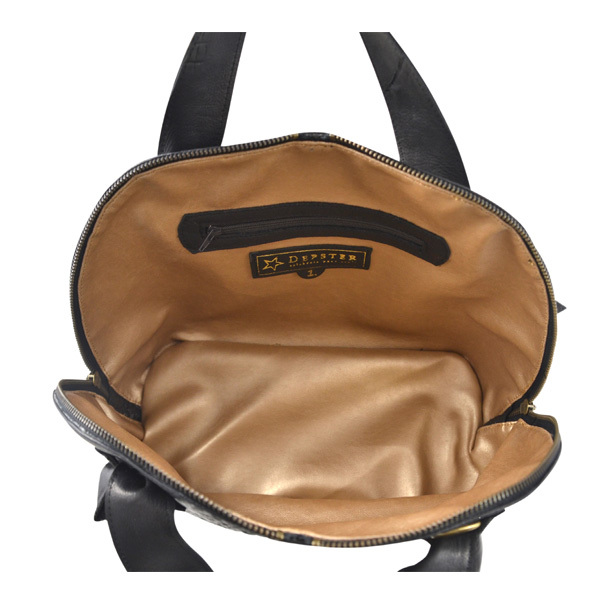 We offer our bags with gold or brass ornaments with a brass coloured skai leather lining and bags with silver ornaments with a silver coloured skai leather lining. 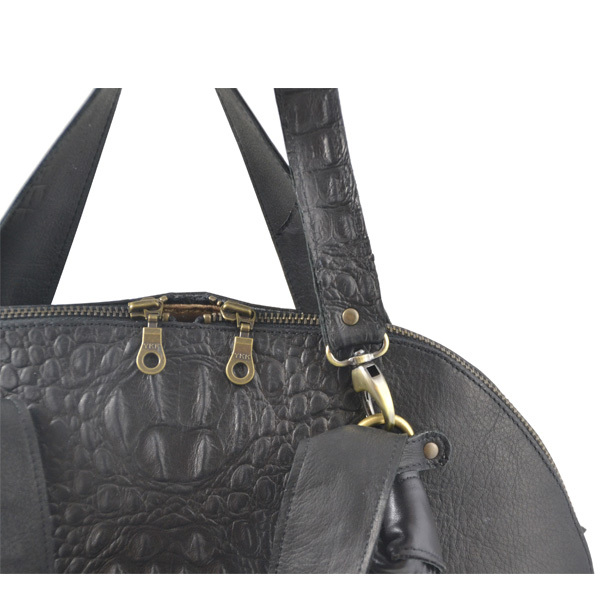 Skai leather is lasting, it will bring light into your bag and is very low in maintenance because easy to clean. Our bags have a standard zipper pocket inside.